Do we really need another Holocaust film? Hasn’t this subject been extensively covered during the past 25 years? What else can another film of that “genre” offer to the audience? These were some of the questions that Hungarian director László Nemes had to answer in order to get financed for his debut feature film Saul Fia (Son of Saul). Short answer, if a film is as extraordinary as Son of Saul, then yes a masterpiece is always needed. The film won the Grand Prix du Jury at the 68th Cannes Film Festival and the Special Jury Prize at the 21st Sarajevo Film Festival. October 1944, Auschwitz concentration camp. Hungarian-Jewish prisoner Saul Ausländer (Géza Röhrig) is member of Sonderkommando, Nazis’ special unit that is responsible for the burning of gas chamber victims. One day, while working in a crematorium, Saul discovers the body of a young boy that he takes for his son. His duty now is to offer him a funeral according to their Jewish faith and for that reason he is desperately searching for a rabbi to perform the ritual. As his quest begins, there will be a turmoil in the camp. The members of different Sonderkommandos are planning a revolt since they are getting informed that Soviets are approaching and probably Nazis will execute them. Saul has limited time and forces to perform his task by paying his honors and feel relieved. This is a dreary and grim story. Saul’s terrifying task overwhelms himself and his own personality. The need of a spiritual solution surpasses his earthly needs. His pointless and even repetitive life, despite the gruesomeness of the work that he is forced to do, now changes. Saul is ready to collaborate with everyone and do anything, even acts that he doesn’t have any faith to, because his mission goes beyond himself. He is enclosing his wishes and he forgets his position and his fate. All his emotions, all his feelings, all his thoughts are now encapsulated. He must believe that this boy’s funeral is the only right thing to do. Saul is trying to keep himself alive through a dead body. He must forget the red X that marks his clothes and predefines his future. Saul wants to escape, primarily mentally, and his “son” will give him the strength to overcome everything. Son of Saul is a harsh, poignant and extremely powerful film. It is not only the story that brings to the spotlight the drama of that period and of course it is not just another experience about the Holocaust. Nemes succeeds impressively to capture all the horror and the dismay in the most tragically vivid way. The director is following his hero from the very first moment, he is always behind him as he’s observing doing his work and follows his footsteps. This almost first person experience – that is also mainly composed by numerous one shots – transfers all the emotions to the viewer. You can’t simply observe the action; you actually live through that fast paced rhythm that never ends. As Saul’s story unfolds the world that exists around him is falling apart so the point of views can rapidly change, sometimes you feel out of focus and you can’t really escape from that. The viewer remains as haunted as the protagonist and that is extremely difficult to be succeeded throughout a film. This experience should be credited of course to Géza Röhrig too – a non-professional actor, István Szabó’s student and 90s alternative rock persona – who offers to his character exactly the needed substance to fight with his own destiny and exist during this hellish scenery. 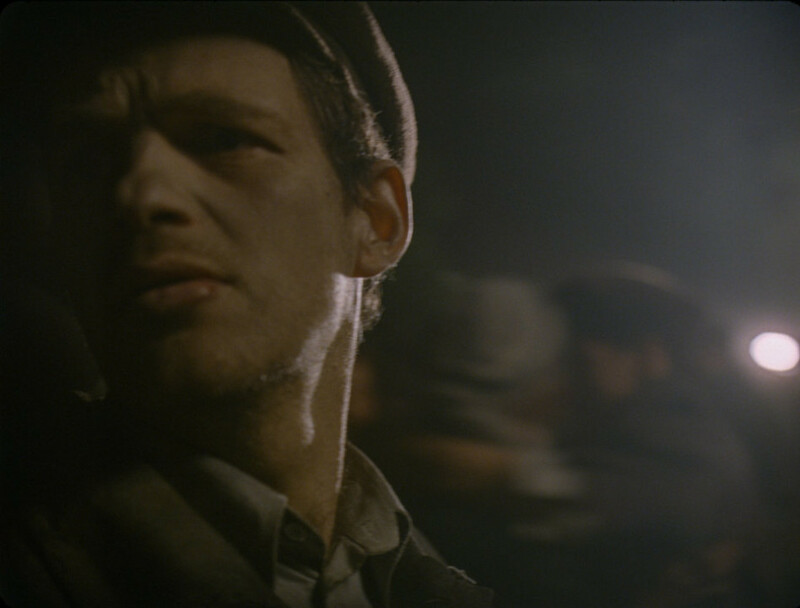 Apart from creating a powerful and distinctive hero, Nemes succeeds to accurately recreate the atmosphere of a concentration camp. Son of Saul would seem so fast and chaotic and this is apparently the essence of a concentration camp. An organized chaos that, in this case, is thoroughly orchestrated by the director. Each shot is meticulously studied and sometimes fiction surpasses or even coexists with reality and actual facts. Nemes builds larger scenes that are then fragmented and dismantled and that’s where he places his heroes. Sometimes this distanced and at the same time close-up depiction could resemble to a small-scaled Miklós Jancsó film, if the musical parts are being substituted by screams and gunshots. Since Nemes decides to avoid depicting any moment of actual cruelty and by juxtaposing his technique with his subject then it is easy to assume that Elem Klimov’s Idi i Smotri (Come and See, 1985) has been really influential for this work. 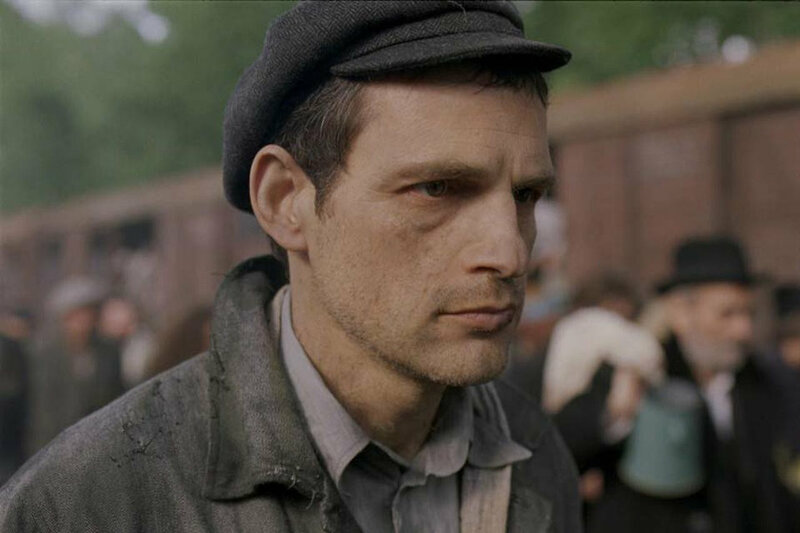 As it is already mentioned, the vivacity that Son of Saul expresses seems slightly unaccustomed for a fiction film and this is just because the whole story is actually based on true testimonies and camp survivors’ written stories. Nemes, who co-wrote the screenplay with Clara Royer, has disclosed that he had to work with sacred material and for that reason he had to balance the Holocaust “genre” with his rightfully ethical approach to honor the people that were sacrificed. His entire script is based on fragile documents and for that reason he created a film that could preserve this fragility. The borders where fiction ends and where documentary starts are almost invisible. Son of Saul is a fiction film that supports its deep and severe historical backbone by staying liberally connected with the reality. On the technical level, Nemes stretched his creative limits in order to make his already complicated work even harder and he shot exclusively in 35mm. Considering the already difficult task to shoot so many longshots – probably his previous experience as Béla Tarr’s assistant was useful – by selecting exclusively film he didn’t leave any space for any mistake. Academy Ratio boxed austere cinematography by Mátyás Erdély provides a striking perspective to the picture which due to the extreme vibrancy of the scenes gives the impression that the image can expand from the strict and specific 4:3 borders. This is another unexpected level that enhances the almost personal experience of watching this film. 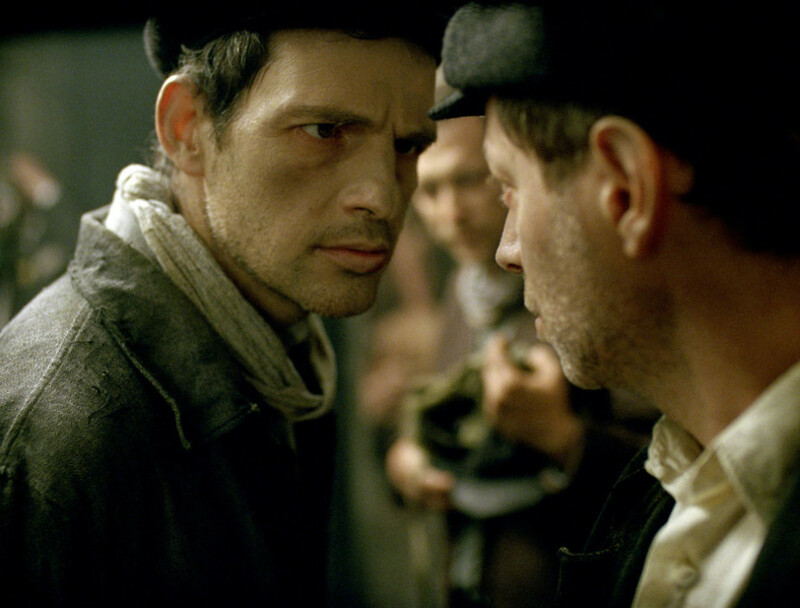 It is worth mentioned that Son of Saul is a substantially low budget production – for this genre – and it is really hard to achieve such technically accomplished results with that amount of money. László Nemes’ work could be considered exemplary by taking into account that this is his first feature, undoubtedly Son of Saul is one of the most remarkable debut films that have been screened in the recent years. A courageous well-structured drama that can be extraordinary both visually and emotionally and this is an unexpected balance, especially when the viewer who enters this Inferno can never escape.